Ah, the holidays. We give and receive gifts. We give and receive hugs. And we give and receive holiday shame. In what has become its own annual tradition, holiday shaming occurs when someone expresses disapproval toward another person for celebrating or participating in a certain holiday. At times, this shaming comes from unbelievers who don't want to wish or be wished "Merry Christmas." Yet, it's not entirely uncommon to be holiday-shamed by a fellow believer who wants nothing to do with holidays—and doesn't want you to have anything to do with them either. A majority of the shaming usually begins around October and continues through the end of the year. You celebrate Halloween? Don't you know it's entirely demonic? You celebrate Christmas? Don't you know about its pagan origins? Of course, what is needed from the outset is a definition of "celebrate." If by "celebrate Halloween," one is referring to glorifying gore, reenacting occult activities, or using the day as an excuse to dress inappropriately, it's obvious that Christians are to have no part (cf. Eph. 5:1-12). The Bible outright denounces murder (cf. Ex. 20:13, Rom. 3:15), never portrays witchcraft in positive terms (cf. 1 Sam. 28:7, Rev. 21:8), and thoroughly warns about sensuality (cf. Gal. 5:19, Prov. 7:10). Christians have no business mimicking those things, even in the name of so-called fun. But if one simply means that children dress up, act silly, and try to accumulate as much candy as possible, many parents would say that sounds like nothing more than an average day at home! Similarly, "celebrate Christmas" can mean many things to many people. For some, it refers to indulging in greed and covetousness ("For Christmas I want this...and this...and this...and..."). 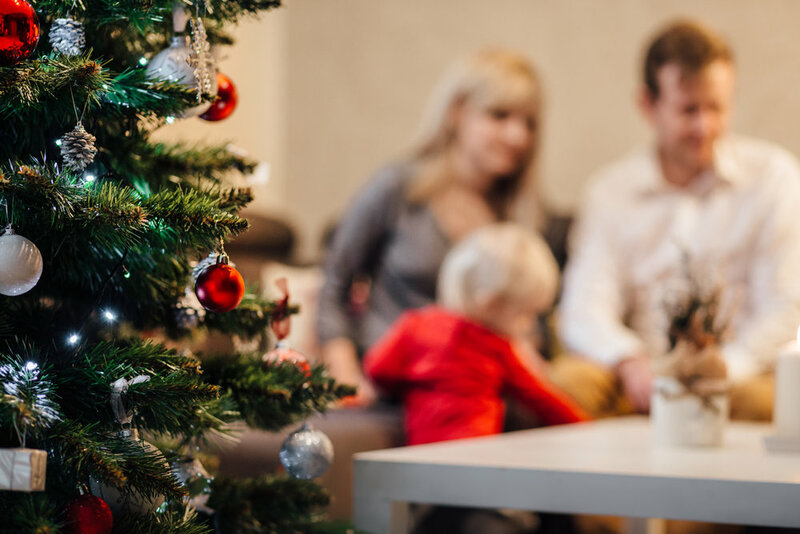 Case in point: a recent poll revealed that 24% of Millennials are heading into this holiday season having not paid off last year's holiday debt! For others, it means attributing to Santa the divine characteristics of omnipresence ("he sees you when you're sleeping") and omniscience ("he knows when you're awake"). Perhaps, your idea of the Christmas holiday includes subtly teaching children a works-righteousness false gospel ("You better be good all year or else no presents!"). At the very least, biblical prudence would steer us away from those things. But if one simply means that a family wants to go above and beyond in celebration of God's gift to us (the incarnation of Christ) by giving gifts to one another, many pastors would probably say that's precisely the kind of culture they would like to cultivate in their local churches. With that said, if you were to take a survey of Christians, asking about their favorite book of the Bible, Romans would undoubtedly be somewhere near the top. We rally around the premise of Romans 1:16, we rejoice in the promise of Romans 8:28, and we recognize the power of Romans 9:22, but how many people actually understand why Paul wrote this epistle? The existence of holiday shaming would indicate that the answer is: not enough of us. Certainly, Paul wanted to introduce himself to the believers in Rome, as he planned on visiting at some point (cf. Rom. 1:8-15). But, he wouldn't have needed to spend upwards of $2,275 (in today's currency) to produce this letter if he simply wanted to say, "Hi, my name is Paul!" No, he had a more important purpose in mind: the unity of Jewish and Gentile believers. The church that the Apostle Paul addressed was a church at its roots, comprised of both Jewish Christians (those converted from Judaism to Christianity) as well as Gentiles. Despite the growing number of Gentile believers, this early church was initially led primarily by Jewish Christians. However, in A.D. 49, that all changed when the Jewish community of Rome was expelled by the Roman Emperor Claudius I, leaving only Gentile believers in the city (cf. Acts 18:2). Thus, once the Jews were expelled, the Gentiles found themselves thrust into leadership of the church. But, in A.D. 54, the Jews (including Jewish Christians) were allowed to return to Rome after the death of Claudius. As you can imagine, the church became virtually bound in a type of gridlock due to the conflicting assumption of leadership between Jew and Gentile. It is in this setting that the Apostle Paul wrote what has been called “the Gospel in its purest form," which offered unity to the church based on the person and work of Christ. Not only did Paul explain what God did in the past by sending Jesus to save Jews and Gentiles alike through faith alone (cf. Rom. 3), and not only did Paul explain what God would do in the future after using the largely Gentile church to provoke jealousy among the Jewish nation (cf. Rom. 11), but Paul also explained how Jews and Gentiles were to live in the present as one body following Christ together (cf. Rom. 15-16). And one of the key obstacles to this unity was the issue of observing particular days on the calendar. Jewish Christians, still retaining their ethnic identity, wanted to continue observing the Sabbath day weekly, as well as certain festival days yearly. Many Gentile Christians, on the other hand, wanted to distance themselves from any kind of special observance. For Jews, the Sabbath referred not only to the seventh day of the week, the day of rest and worship, but to a number of other days and periods that were venerated and specially observed. Some pagan religions also venerated certain days or seasons. As with the eating of certain foods, the weak Jewish Christians remained strongly attached to the special days of Judaism and felt compelled to observe them. The weak Gentile, on the other hand, wanted to separate himself as far as possible from the special days of his former paganism because of their idolatrous and immoral character. Sound familiar? Today, church unity is not typically threatened by Jewish feast days, yet cultural holidays do stand as an unnecessary barrier to Christian fellowship. Thus, the Apostle's instructions about this matter are still just as relevant: "One person regards one day above another, another regards every day alike. Each person must be fully convinced in his own mind" (Rom. 14:5). When it came to observing certain days, the Apostle Paul made it clear that these are issues of conscience. Some first-century Jewish Christians felt it necessary to continue observing particular days, and the stronger Christian brothers needed to sympathize with that commitment. Some first-century Gentile Christians felt it necessary to completely distance themselves from any association with their pagan culture, and the stronger Christian brothers needed to sympathize with that conviction. In either case, Christians were not to act as a judge of one another in regards to these issues (cf. Col. 2:16). Instead, "each man must be fully convinced in his own mind," able to observe the day or abstain from the day as unto the Lord, knowing that he will give an account to God, not his fellow Christian, for these kinds of amoral matters (cf. Rom. 14:5-12). How Then Should We Celebrate? Aside from rejoicing in clear unrighteousness (as in some of the aforementioned examples), believers today still have the freedom to set aside particular days for the glory of God. And of course, we must remember that it's a two-way street: believers are also free to refrain from participating in holidays to the glory of God. If you can celebrate cultural holidays with a clean conscience and in a God-honoring manner, you have that freedom. If you feel the conviction to refrain from identifying with cultural holidays in order to maintain a clean conscience, you have that obligation. In either case, you have no right to impose your conscience on others. You are redeemed by the blood of Christ, and neither observing nor abstaining from a particular holiday will commend you more to God. If the Gospel was powerful enough to reconcile first-century Jews and Gentiles, who often had radically different cultural customs, it is surely powerful enough to bridge the gaps between 21st-century believers who disagree on what to do a couple of days per year. Now if you would, please excuse me while I go sample some holiday desserts my wife just baked (shhh...don't let the food shamers know!). Emmie Martin, "Shoppers are still paying off debt from last Christmas," CNBC, accessed November 18, 2017, https://www.cnbc.com/2017/11/17/shoppers-are-still-paying-off-debt-from-2016-holidays.html. E. Randolph Richards, Paul and First-Century Letter Writing: Secretaries, Composition and Collection (Downers Grove, IL: InterVarsity Press, 2004), 169. John MacArthur, The MacArthur New Testament Commentary: Romans 9-16 (Chicago, IL: Moody Publishers, 1994), 281.